October 2009 Archives - mudd up! Finally finagled ambient wi-fi with Maga Bo here in a sunlit Copenhagen flat around the corner from Christiania… playing tonite. screenshot details below. link. also facebook. I’ll be checking out WOMEX activities for the next few days, if you’re around, twitter (@djrupture) probably the best way to get in touch. In other words: an essay on the work of Ata Ebtekar and Alireza Mashayekhi. Head over to RCRDLBL to get an exclusive tune from the new cumbia / cumbia digital compilation, put together by the deepest digger I know, Sonido Martines! the jam in question is Sonido himself remixing legendary Peruvian chicha cumbia band, Los Destellos de Enrique Delgado, with vocal assistance by Fefe, a Brazilian firecracker. In one example of how Sonido Martines works, he tracked down Los Destellos, explained to them what was going on in the slippery world of ‘new cumbia’, and with their blessings got permission to flip this remix. Now-thing realness with respect for the foundational musicians! 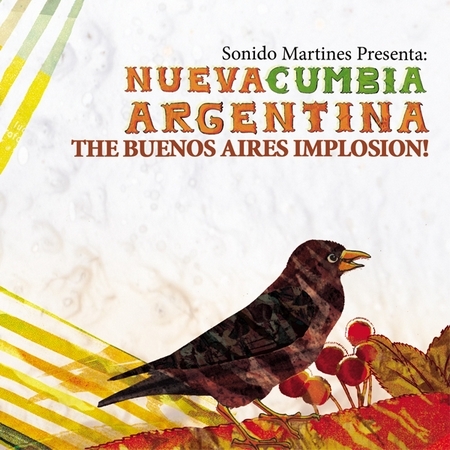 the comp esta muy wapo… Sonido Martines presents: Nueva Cumbia Argentina! fresh heat from nu-skoolers like El Hijo de la Cumbia, Fauna, and Chancha Via Circuito, and visionary early material from DJ Taz and Damas Gratis, and more! 12″ and digital out now: iTunes / Amazon / Boomkat, etc. K VIVA LA KUMBIA!! 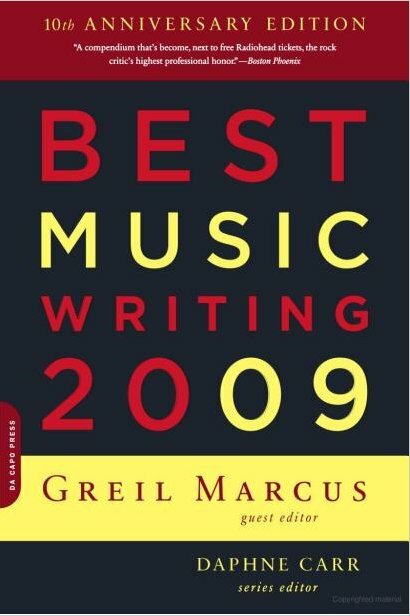 On Monday November 2 I’ll be participating in the BEST MUSIC WRITING 2009 launch party in New York City – a night of readings hosted by Greil Marcus. 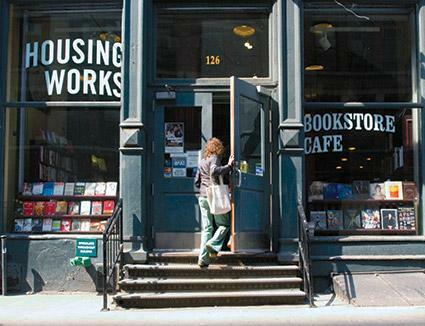 It goes down at SoHo’s fantastic Housing Works Cafe, 7pm. Afterparty at Puck Fair around the corner. Along with yours truly, there’ll be eight other authors from the anthology reading, with a bit of audience Q&A thrown in. I like it when critics get out and speak their words in public. Josh Eells, Charles Talyors, Jace Clayton, Nick Sylvester, Carrie Brownstein, Jody Rosen, Paul Ford, William Hogeland, Jesse Serwer. This Saturday I will speak at the New Yorker Festival, as part of a panel on The Music Biz: Remixing the Industry. It ain’t cheap, but with folks like lifelong industry uber-insider Danny Goldberg, Downtown Records boss Josh Deutsch, and bassist Melvin Gibbs in the mix, discussion should be lively. I mean, there are only a few more years where we can actually sit down and talk about ‘the music biz’ with ‘record executives’ and such, so let’s make the most of it. And/or help the sick patient die faster. Later this month I’ll be performing in Copenhagen, and so many things are happening in November that my subconscious mind won’t let me think about it yet. Lucky Dragons’ performances overturn conventions of electronic music with generosity and grace. Today, Monday October 12 7-8pm on WFMU 91.1fm, they will join me to share sounds and discuss the relationship between social and sonic experimentation, Los Angeles, erasing the barriers between performer and audience, and more. Lucky Dragons opened for Thom Yorke’s new band debut (both nights) in L.A. last week!! You know, that new band with Flea of Red Hot Chilli Peppers. So we expect 73,365 new L.D. fans will tune in. 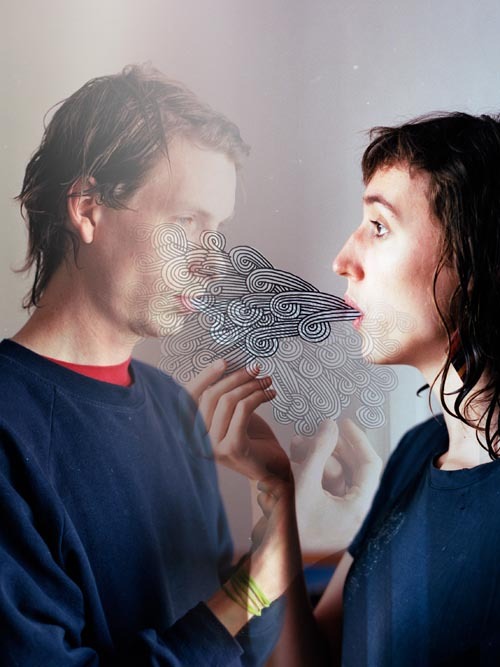 On Tuesday Lucky Dragons will perform @ Industry City out in Sunset Park, Brooklyn. Subscribe to the Mudd Up! podcast if you want downloadable versions: , Mudd Up! RSS. Listen, get involved, throw in comments, questions. Again, Mondays @ 7 PM. For those outside our FM broadcast range, WFMU offers live streaming and even has its own free iPhone app! 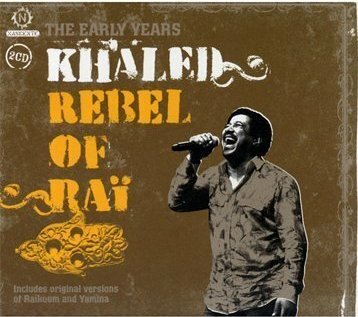 Ok, so Khaled isn’t the “Rebel of Raï” as this 2-CD set titles itself. Marketing-driven misnomers are rife; we don’t sweat it. Khaled is raï establishment, Khaled is raï king. And the Nascente CDs help explain why. Here as elsewhere, Khaled’s voice is honey, his performances nimble and generous. (For some raï context, check my 2008 piece in The National). I was speaking with Cheikha Rabia in Paris earlier this year, and when I asked about her favorite singer, her face erupted into a smile – the child inside looking out, eyes aglow – “Khaled!” Rabia said. “Khaled! He’s the best”. His website, descriptively titled Khaled Mania, contains a ‘nostalgia‘ section with mp3s & videos! I’m pleased to announce that my essay Confessions of a DJ, originally published in n+1, has been selected for inclusion in Best Music Writing 2009! It’s a honor to be part of the Da Capo series, especially on their 10th anniversary, with guest editor Greil Marcus. The anthology is floating around some bookstores now, and will be everywhere next week. Greil Marcus surreally misquotes my piece in his introduction: “I’ve died in more than two dozen countries…” (La petit mort? I’m not dead yet.) But apart from that unusual typo, Best Music Writing 2009 contains a spread of fascinating, varied writing. Books as a medium whose metanarrative, in 2009, is slow down? Slow down and listen. Bowed strings pinpoint a mood, amplify it, submerge us. from the album Crow Autumn Part Two, self-released as CD-r with lovely, attentive packaging. A Broken Consort springs from Richard Skelton, whose music I cannot stop listening to, who maintains an infrequent diary on sound, art & the landscape.